5 nights accommodation with meals aboard a yacht in the 34- 40 ft range whilst cruising the scenic Gulf Islands. 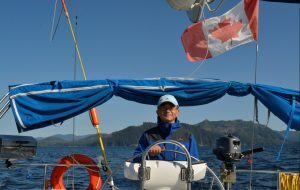 This course is taught by either Canadian Recreational Yachting or International Yacht Training methods of instruction and on successful completion of the course, students attain Competent crew/Basic cruising certification. *dates subject to change, please contact us for more information. The course objective is to be able to cruise safely in familiar waters as both skipper and crew of a sailboat in moderate wind and sea conditions by day.